Sometimes you pick up a book and feel like it was made for you. ARE YOU SLEEPING by Kathleen Barber was that kind of read for me. This psychological thriller is billed as Serial meets Ruth Ware—a winning combination of two of my favorite things! As an avid podcast listener, I’m immediately drawn to any book that takes inspiration from true crime podcasts. (Remember SIX STORIES by Matt Wesolowski? An instant hit for me.) ARE YOU SLEEPING succeeds in blending the compulsively-readable style of authors like Ruth Ware and Clare Mackintosh with a plot that captures the engrossing, very particular style of true crime podcasts. I highly recommend this suspense novel as a fresh, unique addition to your summer reading list. On the other hand, ARE YOU SLEEPING takes a more familiar psychological suspense story and injects it with doses of non-traditional storytelling content, from podcast “transcripts” to “screenshots” of tweets and Reddit threads. This title takes a wider view on the podcast trend, including those “transcripts” interspersed throughout a more traditional narrative. Readers delve into the relationships between the main character, her boyfriend, and her family, and will find more of a focus on family secrets and betrayals than on dark, chilling events. ARE YOU SLEEPING will be a natural fit for fans of psychological thriller authors like Ruth Ware, Clare Mackintosh, and Emily Carpenter, while SIX STORIES will suit readers looking for something a bit experimental. Both are fantastic choices. But back to ARE YOU SLEEPING. There’s so much to love about this book, from its engaging and accessible suspense storyline to the way Barber infuses an on-trend psychological thriller with inventive and original storytelling tools. I absolutely loved the addition of “screenshots” of tweets and Reddit threads to this story—it made the plot come to life, and helped me get a sense of just how all-consuming the media firestorm surrounding our main character is. Wherever our main character turns, her life is consumed by the podcast which has reopened the case of her father’s murder. As public obsession over the case grows, our main character finds her life permanently altered: betrayals within her family are revealed, and her personal life crumbles. These “screenshots” with "commentary" from listeners of the fictional podcast felt authentic, and put readers squarely in the shoes of the main character, who is unable to escape public scrutiny of and interest in her personal life. Beyond the addition of these nontraditional storytelling elements, ARE YOU SLEEPING is just plain fun to read. 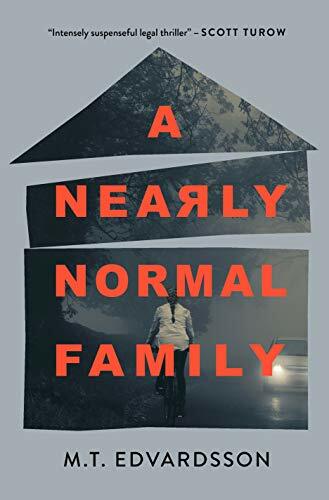 It has that addictive quality that authors like Ruth Ware and Clare Mackintosh have mastered—it’s compulsively readable, and I can practically guarantee fans of current psychological thrillers will find this book unputdownable. ARE YOU SLEEPING isn’t necessarily as dark a read as some of its peers—I wouldn’t classify it as particularly chilling, and there is minimal violence in this book, but I certainly don't consider that a flaw of the novel. It's something to be aware of, of course; if you're looking for a spine-tingling and dark psychological thriller, this won't work for you. But if you're in the market for an inventive and addictive summer suspense novel, ARE YOU SLEEPING will be right up your alley. Barber has set up a fantastic story of lies catching up to us: in 2017, can our secrets really stay hidden? And if they were to be dug up, what would happen to our lives? Readers will find themselves hooked on this compulsive story of truth, lies, and the intersection of the two. ARE YOU SLEEPING is an excellent choice for your summer reading list. Accessible, engaging, and not too dark or violent, this psychological suspense novel will hook readers looking for a binge-worthy beach read. As for me, I’ll be here hoping Barber writes a follow-up—I’d love another book on the (wholly distasteful) podcaster who causes so much trouble in this story. Disclaimer: I received a free copy of this book from the publisher in exchange for my honest review. This does not affect my opinion of the book or the content of my review. All opinions my own. Just for fun—here are a few of my favorite true crime podcasts! Sword & Scale: My absolute favorite. You can’t beat this podcast for its insider insight into real crimes. S&S doesn’t shy away from delving into the most gruesome, twisted cases you can imagine—definitely proceed with caution, this podcast is serious business. Serial: Okay, this recommendation is obvious! There’s a reason Serial became such a cultural phenomenon. Highly recommended, although (unfortunately) I’d only recommend Season 1. 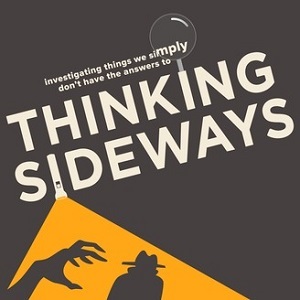 Thinking Sideways: A blend of mystery-solving and quirky humor! A group of friends discusses unsolved mysteries, from homicides to unexplained disappearances to UFO’s and more, each presenting their own personal theories on what might have happened. This one is just plain fun! Casefile: This is a newer podcast discovery - a friend of mine recommended it to me, and I’m really enjoying it so far! Case discussions presented by a host with a fantastic accent - what more could you ask for, honestly? (That’s a joke of course, but still! A great listening experience.) Like Sword & Scale, Casefile is also quite dark—proceed with caution. Find ARE YOU SLEEPING on Amazon.